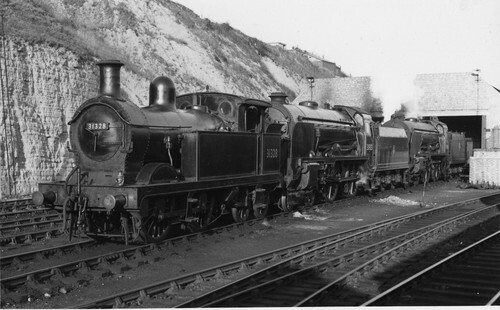 The South Eastern & Chatham Railway opened a locomotive shed at Hastings on the 13th February 1851 and closed in 1929. This shed was later taken over by the South Eastern Chatham Railway and closed in 1936 by the Southern Railway. R. Niner c1912, D. Sargent c1936 - c1955, J. Wallis, K. Auger 1985 - ?, S. Jenner c2010 - ? 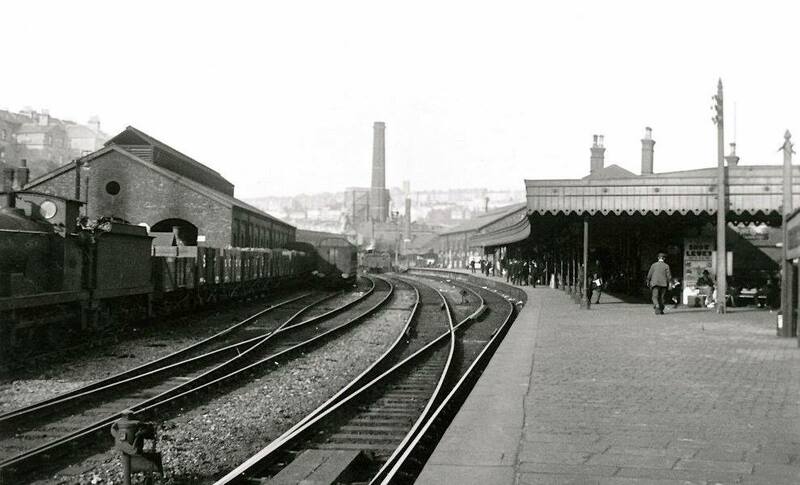 The South East & Chatham Railway Loco Shed at Hastings pre electrification of the 1935 rebuilding of Hastings Station and the electrification of the Brighton ~ Hastings (Ore) railway line. Our monthly meeting was held on Sunday, January 26th, several members attending. I myself would like to see more attend and gel in the branch business, as these are times which we should all pull together. Nominations for our 1936 L.D.C. took place, and I am pleased to say our three members now serving were nominated, which is very encouraging after the last year or two, when unofficial members have been elected. We also had Bro. Harris of Brighton branch giving us a visit. He gave a very interesting report on last year’s A.A.D., on which he was elected for the first time in his career. Bro. Harris answered questions that were put to him in a most able manner. Our meeting closed with a vote of thanks to Bro. Harris, who we hope to hear again. When we held our first branch meeting of the year on January 31, we had a good number of our members present. We also had had the great pleasure of presenting one of our retired members with a Westminster chiming clock. Our retiring member was Bro. S. App, and presentation was made by one of our oldest members, Bro. E. Croucher, who had known Bro. Apps for nearly all his railway career. Our Society Committee had worked hard for this presentation and were going to arrange a concert but our retired. Bro’s wife is not in the best of health, so he found it impossible to attend a concert. All our members hope she will soon be restored to better health to enjoy the retirement Bro. Apps has well earned. Then we had a very interesting debate on the 12 hours’ rest clause, which is hitting some of our members very hard as, being a small depot, some of our members are having junior men performing higher grade work, while they are performing lower grade work. However, our L.D.C. are now taking the matter in hand, so we hope they will soon put the matter in its right order. Then we had nominations for this year’s L.D.C., and our three members were again nominated for the second year in succession. Our Social Committee are now starting to work for a testimonial for our late branch secretary, Bro. R. Niner, who has been in office for 25 years. The above branch is still doing well, but we should like to see our branch room full at our monthly meetings, as in my opinion that is the way to get better conditions. We have had four new members this year as yet, and that now leaves us with a very few nons, and those few we live in hopes for. As I have not written to the Journal since February, I must say we have had a interesting month or two. At our February meeting we had Bro. Godfrey of the E.C. down here, and had a very good meeting which was thoroughly enjoyed by all members present. Discussions took place with L.D.C. on local agreements meetings, and it is a pity that there are not more members present to help our L.D.C. to improve the local conditions. We had a very successful concert and presentation at our branch headquarters on July 15. The presentation was to Bro. 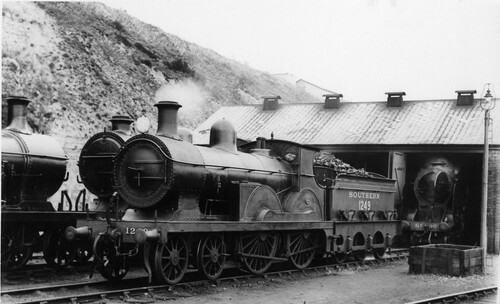 S. Welfare, who retired on July 14 after over fifty years of railway work, of which over forty-seven years were spent in the locomotive department. Bro. Welfare had done over thirty years of main line driving and we all hope he will have good health and happiness during his well merited retirement. Bro. J. Blake, in making the presentation of a silver watch and Albert, suitably inscribed, and a handbag for Mrs. Welfare, paid tribute to Bro. Welfare for his Trade Union associations during his career - all of which has been spent at Hastings. Bro. Welfare replied, thanking al his fellow Trade Unionist for what they had done for him in the past. We have had during the month of May three of our members passed on to the retired list - Bros. E. Croucher (Scale 1); J. Blake and S. Hart (Scale 7). Bros. E. Croucher and J. Blake reached the age limit, but Bro. Hart has had to retire owing to ill-health and also failing eyesight. All these brothers had a splendid send-off on June 24, when our General Secretary (Bro. W.J.R. Squance) came down and presented these brothers with some handsome gifts from all Trade Unionist at St. Leonards and Ore. We had a large crowd at the concert and presentation, including members fro Ore and Eastbourne. Bro. Squance, in making the presentations, quoted that these members had served the railways with 48 years’ service and had been members of our organisation for 33 years and that Bro. Croucher was now on the superannuation benefit. Members of this branch, also of the N.U.R., associate themselves with the wishes expressed that these members who have now retired will enjoy both health and happiness. As our meeting on the following day our General Secretaty stayed to attend same; he gave a report of what lay ahead of us and gave us good courage relating to the 12 days’ holiday with pay, which he said must come to us in the future. He also discussed the R.S.N.T. Decision No.5, and of the meeting the Unions had with the railway companies on June 30. He also enlightened us as to what had been done by the Society in keeping a watchful eye on the treatment of our young members who had to undergo military training. In conclusion, may I thank the General Secretary for coming down here at our request. We all wish him health and happiness in his coming retirement. Our January meeting was very well attended, and it was also interesting. We had some of the oldest members of the Society there; also some of the youngest. They all came to say farewell to one of our eldest members who has now retired and is now on the superannuation benefit. Our retired member (Bro. J. Philpot) has been a member since 1912 and has assisted thee branch through serious times. Bro. R. Niner attended the meeting, although himself on the sick list, to make a presentation to Bro. Philpot in the form of a pair of easy chairs, presented by his workmates at the depot. Bro. Niner spoke of the good work done by our brother in years past for the benefit of Trade Unionism. Bro. A Levett (Ore Branch) also spoke of our colleague’s good work. The members present wished Bro. Philpot health and good luck in these difficult times, and also wished Bro. Niner a quick recovery from his illness. Now a word or two for our members at home. It was very encouraging to see so many at our last meeting: now, if you all come, it will be more so. You will also know how the Society is watching your interests in these difficult times and the conditions we are working under. So it is hoped that all members will do their utmost to make the meetings in 1941 still better. On Friday, May 30, a special branch meeting was held in conjunction with the A.A.D. being held at Hastings for the first time in the history of the Society. Members from Eastbourne and Ore joined us to welcome our general secretary, Mr. W.P. Allen, also Bro. H.E. Bidwell, president of the executive committee. The meeting was very well attended by the three branches. Delegates of the A.A.D. also visited the branch to show their appreciation for all that had been done to make their visit South a happy one. Bro. G. Wright of Wood Green spoke of the L.P.T.B., and Bro. E. Peachey of Stratford gave a short address on the L.N.E.R. matters. Then the president of the E.C. gave a lengthy address on the National programme as put before the companies recently, and now before the Court of Inquiry. Bro. W.P. Allen, general secretary, received a great welcome on rising to speak for the first time in our branch room, also this being his first visit to Hastings. Bro. 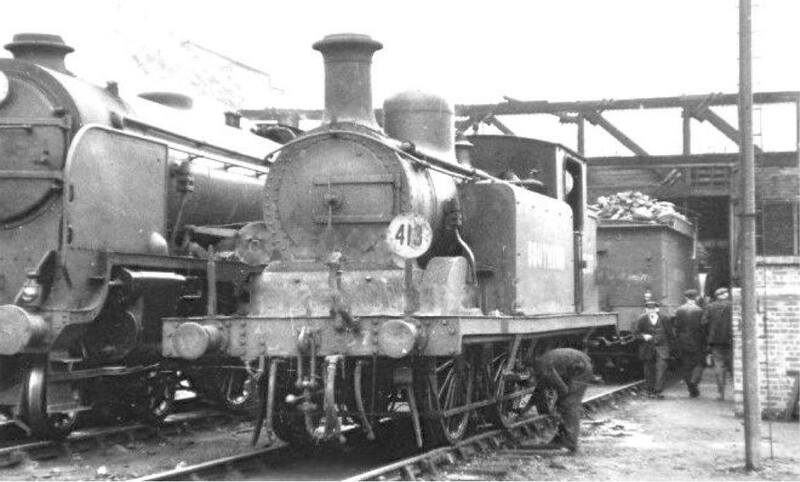 Allen spoke on Nationalisation of the railways, and of the different ideas of line promotion of footplate men. Members present then fired questions at the general secretary, to which he replied, and aftr a very good meeting, thoroughly enjoyed by all, the end came all too soon for some. We at St. Leonards hope that the A.A.D. will again visit us in the South at some time future time, as we can assure the best of weather, as our branch chairman forecast on the opening of the conference. On February 26 a joint meeting was held with branches from Eastbourne and Ore ro hear a report on Promotion and Redundancy by our Executive Committee member Bro. R.G. Pavey. The meeting was well attended, although it would have been encouraging to the branch officers to have seen the branch room overflowing with the younger members, who will be mostly effected by the scheme. Members who did not come along missed hearing some valuable questioning and answering re-items in the scheme. Our electrical friends from Eastbourne and Ore asked many questions as to their position on the Dual Link when the scheme comes into operation, and Bro. Pavey answered all. The officers from this branch send best wishes to all members who have transferred to other depots for promotion in the past. On Sunday, July 9th, 1950, our General Secretary, M.J.G. Baty, visited our Branch with Bro. A.W. Lennard in the chair. Bro. Baty was introduced to members from Eastbourne and Ore branches, and he then addressed the meeting on current affairs, stating that the Society had an uphill battle and the we could be justly proud of its achievements. Bro. Baty dealt with rates of pay of 1939 - 1950 for men in the line of promotion. Also mentioned that the E.C. were dealing appropriately with the 1950 A.A.D. 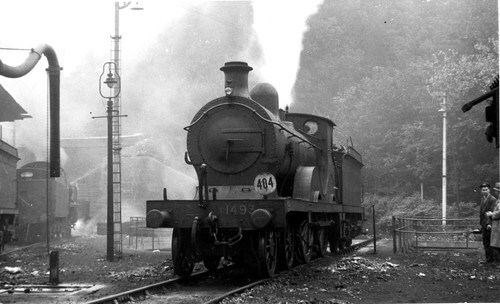 decision relating to rates of pay for loco men, and the vexed question of pension. Bro. Baty then made a presentation of a clock to Bro. W. Gander (“Bill”) on his retirement as a token from his workmates at St. Leonards, and in so doing, paid high tributes to Bro. Gander and his wife. On behalf of their many Society friends he wished them a long and happy retirement. In reply, Bill sai he would like to thnk his workmates for the grand present which he would always treasure. Bill then sat down amid a great ovation, knowing the sincerity of the sentiments expressed. On February 26 a joint meeting was held with branches from Eastbourne and Ore to hear a report on Promotion and Redundancy by our Executive Committee member, Bro. R.G. Pavey. The meeting was well attended, although it would have been encouraging to the branch officers to have seen the room overflowing with the younger members, who will be the mostly effected by the scheme. Members who did not come along missed hearing some valuable questioning and answering re items in the scheme. Our electrical friends from Eastbourne and Ore asked many questions as to their position on the Dual Links when the scheme comes into operation, and Bro. Pavey answered all. The officers of this branch send best wishes to all members who have transferred to other depots for promotion in the past. Bro. A. Hallworth was present at our special meeting on April 12, with members from Eastbourne and Ore branches also attending. Our Acting Assistant General Secretary gave a long address on compensation, etc., also dealing with pending pensions for all male staff, but members would like to know how things are progressing. Bro. Hallworth when dealing with compensation impressed members as to reporting injuries when in process of their duties, as this meant so much to those concerned when claiming under Common Law. All members thanked Bro. Hallworth after the very interesting meeting, at which many questions were asked. At our monthly branch meetings the attendance is about average, but it would be much appreciated by all the Officers if a few would make an effort to attend whenever possible- especially some of the younger members. Also we would like to thank our L.D.C. Secretary (Bro. G.O. Dray) for the reports he gives, also Bro. A.W. Lennard for his untiring work at District Council. In closing, it is with deep regret that I have to report the death of our late members Bro. A. Bishop and his wife in such tragic circumstances. The September meeting rightly expressed its appreciation to Bro. A.W. Lennard for his very able report of the 1953 A.A.D., also the Special A.A.D. held recently to discuss the proposed Pension Scheme. 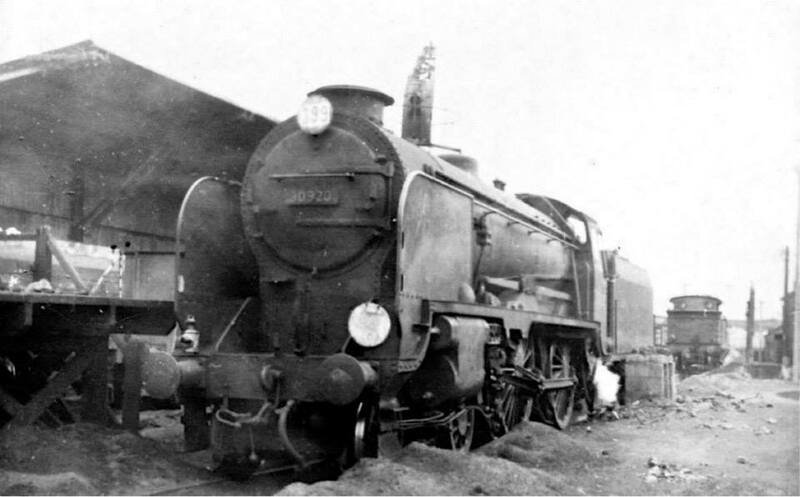 The subjects he dealt with show that some very hard work is ahead if the footplate fraternity are to better their cause. He expressed the dangers that could be brought about by the Government now in power, as this was brought out in the President’s address to the Conference. Bro. Lennard gave those present, including members from Eastbourne, a lengthy report on the work carried out in the nine days of conference, and on the Pensions scheme. One of our most loyal members to the cause of the men at the “front end” has now retired, and we wish him (Bro. G. Giles) all the best in his retirement. At the Branch Annual Meeting the Secretary presented the Society’s Medallions for 40 years’ membership to the following members who were present; Bros. C. Ashdown, A. Beney, E. Coussins, A. W. Lennard and A Wenham. Bro. F. Baldock, another, was unable to attend. The members after being present related some of their earlier experiences and paid tribute to present and past Secretaries for the valuable work that had been done. Also, they expressed their appreciation to the Society for its efforts on their behalf in all circumstances. Bro. Wenham also expressed his gratitude to the Society for its efforts re his past accident, when a sum of over £72 was received for his accident on duty. Also another sum has been received by Bro. Goring in relation to his accident on duty (£50). All members please take note that an early report to your Branch Secretary saves a lot of work for the Society in its effort on your behalf. The Branch congratulates Bro. G. Day on his being elected as the Official Candidate for Sectional Council No.2. In closing the Branch extended its best wishes for 1955 to all present and past members. This year’s A.A.D. will go down as one in which it was to be noted that the future fighting strength is certainly not missing from our ranks. The delegates, many of them young to Conference, expressed in debate without any loss of temper or personalities the real feeling of the rank-and-file. as member of our Orgnanisation we should feel proud that with the changing over of the B.T.C. from steam to diesel and electrification in the near future, a careful watch is being maintained to ensure that “the front end” is to be for the men of our craft only. It was very pleasing to see the confidence the delegates gave to our General Secretary and to the Executive Committeee to continue in the best interests of us all on such questions as wages, conditions and hours. Many things in the E. C. Report were accepted. Of the cases which were the subjects of appeal against the E.C. decisions, four were sent back for further consideration after the Group delegates concerned had put forward constructive evidence. I myself felt they deserved reconsideration. Our Society’s policy on the H-bomb Test and Colour Br soon had delegates on their feet. It was pleasing to hear the fine contribution of the General Secretary on the Colour Bar problem, and all delegates were pleased with the result on these two items - No Test, No Bar! I have referred to the goodly proportion of young delegates, and they certainly deserving of special mention. We need have no fear for the future as many of them are doing their job with pride and enthusiasm as trade unionist. In these comments on our Annual Assembly I must draw your attention to the Political Fund. We must improve our numbers in membership of this Fund. While we keep wishing to “get rid of the Tories” let us build up a fund to increase our representation in Parliament. We have got to watch our step and be prepared. In closing I would like to thank all who placed their confidence in me as A.A.D. Chairman. Best wishes to one and all happy results on your Conference Reports. At our Branch meeting held on September 29 a very pleasing ceremony took place; a presentation to Bro. A. Wenham, “Alf,” who recently retired after 46 years’ membership of this society. Bro. Wenham was the recipient of a Westminster chiming clock given by his fellow trade unionist. One of his mottoes, repeated, to his workmates, was “Never let your contributions lapse; you never know hen you will need the assistance of the Society,” as he made himself had the help of this organization when it dealt with his case of injury whilst on duty. Other member of this Branch had cause to be thankful for the assistance cause to be thankful fort the assistance they received in cases of “Accidents on Duty.” One member had just received approval of an award of £50 in respect of an accident that happened in 1919, and he is due for retirement in December. Here’s proof of the value of keeping your “cons.” paid up. During this last two to three years members of this Branch have received nearly £300 in compensation awards that have been contested by the Society. So, please assist your Secretary by giving him your full report as soon as you can, of any accident that may befall you – and keep your card clear!